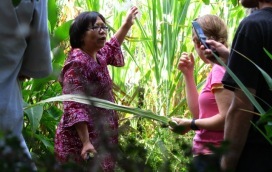 The permaculture school garden at Cringila public school is an oasis, in both the literal and metaphorical sense. 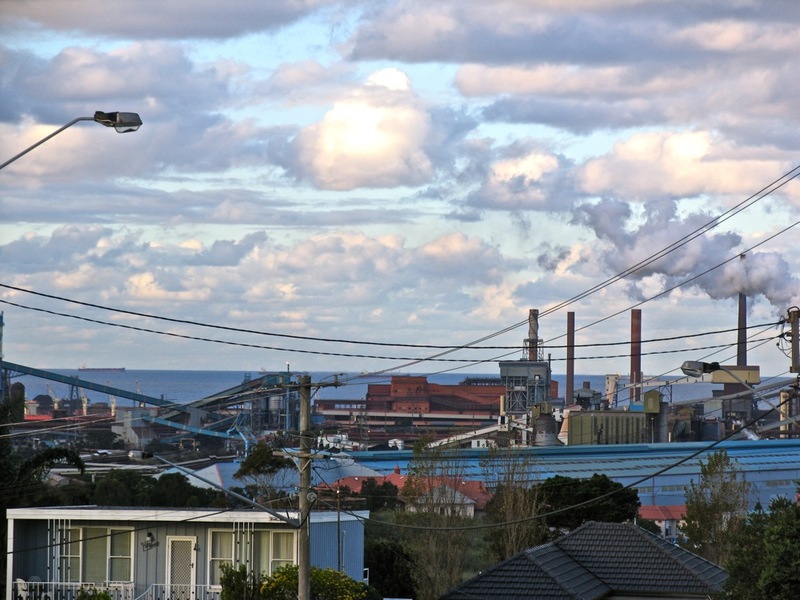 Cringila is a suburb perched above the Port Kembla Steelworks, south of Sydney, and has some of the worst pollution in Australia thanks to the industrial fallout. 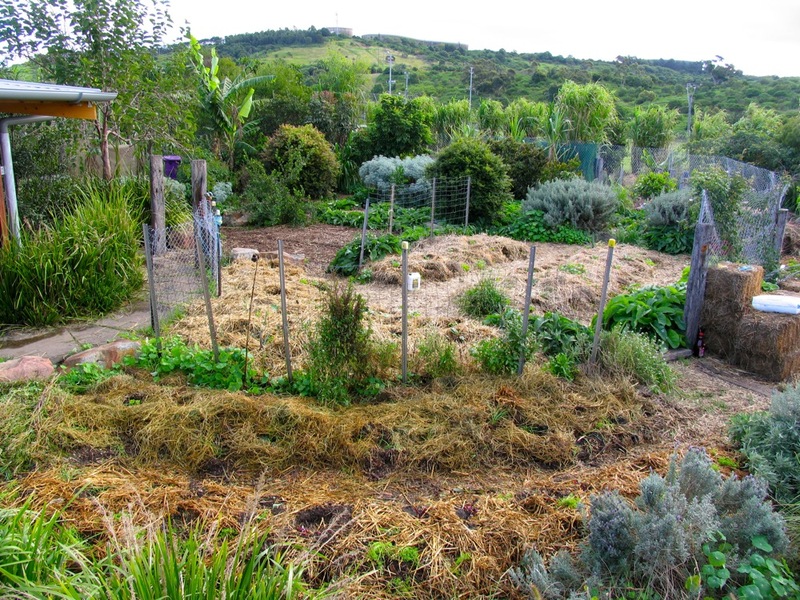 Which is ironic, because the permaculture school garden here is the most thriving place you could imagine. From behind the school you can see a vista of the pacific ocean stretching north and south, with the steelworks and its industrial surrounds plunked in the middle. 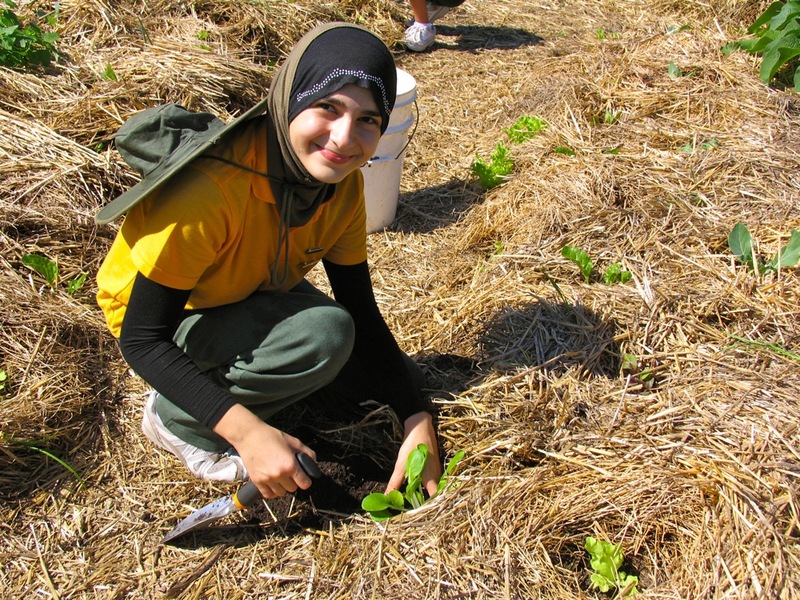 Cringila is one of the most culturally diverse suburbs in NSW, and so the school garden chatters with many languages, with permaculture and gardening as the common tongue. 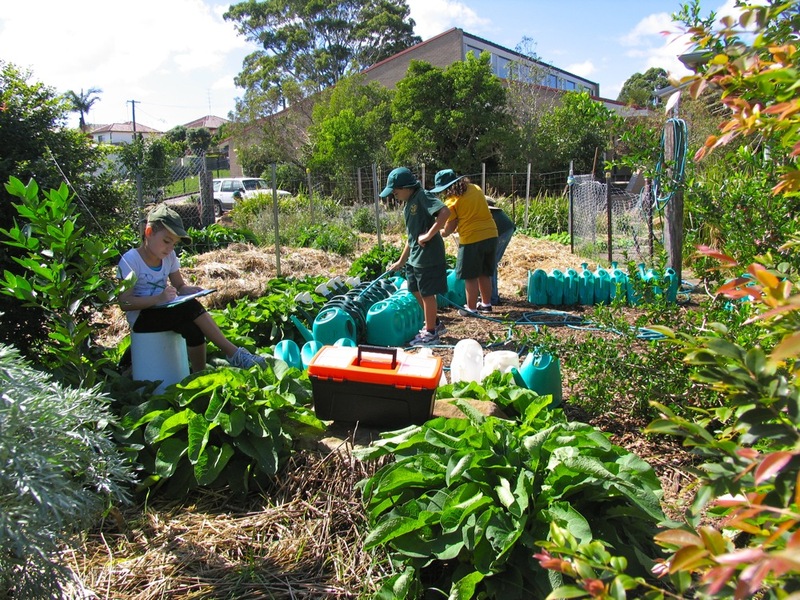 This school garden is Aaron Sorensen’s longest running project (6 years at time of writing) and, like Living Classrooms’ recently completed Kiama School Permaculture Garden, it is a force of nature, but at a later stage of development. Beautiful doesn’t begin to describe it. 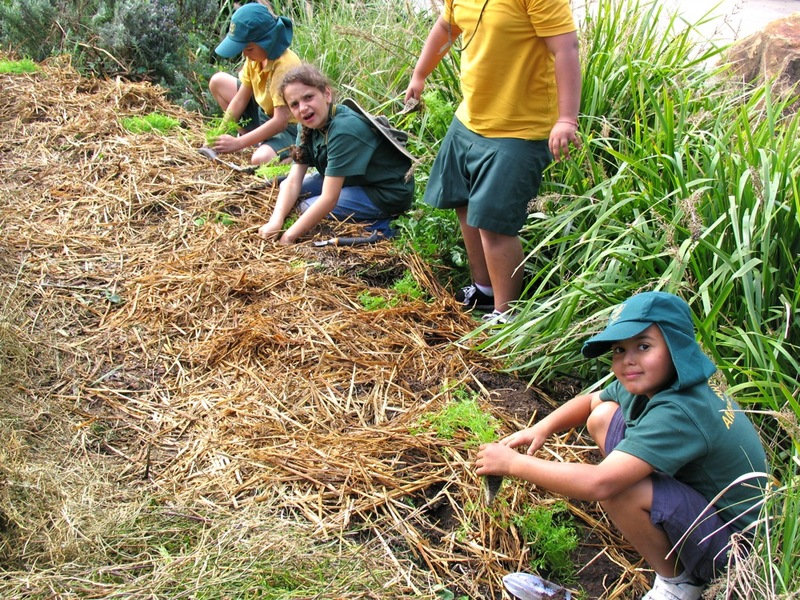 And like Kiama (even more so, given the history of this garden, and the ‘green team’s long term involvement) the kids run the place. At the start of the day there is planning and structure, then the kids get straight into it. A bunch of year four boys take on the responsibility of planting new stands of clumping bamboo with more zeal and accurately applied technique than many adults I have seen plant trees. 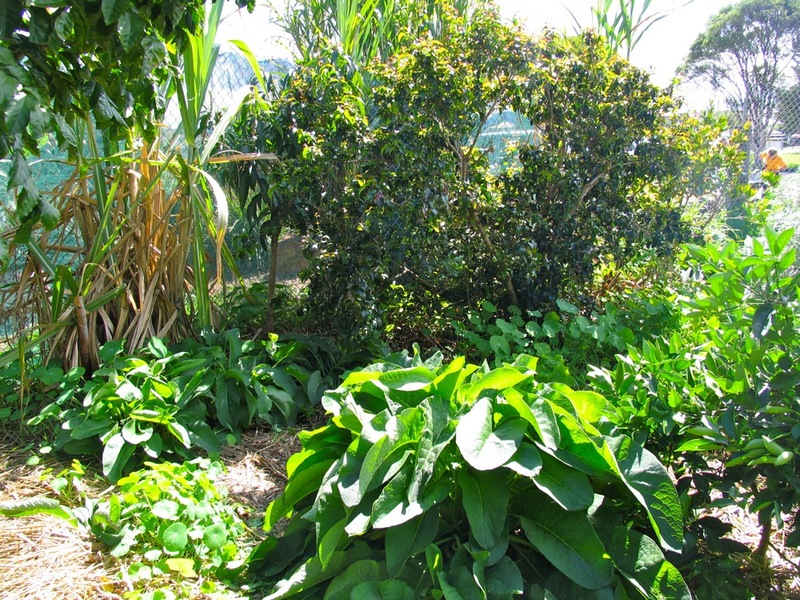 The good design and ongoing energy applied to this small space between the staff carpark and the basketball court has yielded a magical place chock-full of food, useful species and special plants from many cultures. 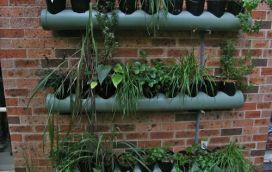 The gardens for the edible plants are all well made no-dig beds so that the plants have minimal contact with the soil below the garden. This place is a tribute to abundance in an environment with many larger environmental questions attached to it. The kids discuss in-depth how they’re going to cook the food as they plant it, as a matter of course. There is a discussion about which sort of spinach pie should be made (should it be the Armenian or the Iranian version?) and some passionate debate about how to make the best tabouleh from the parsley. For the last 6 years the cooking (and eating) has been done simply, on tables in the garden. 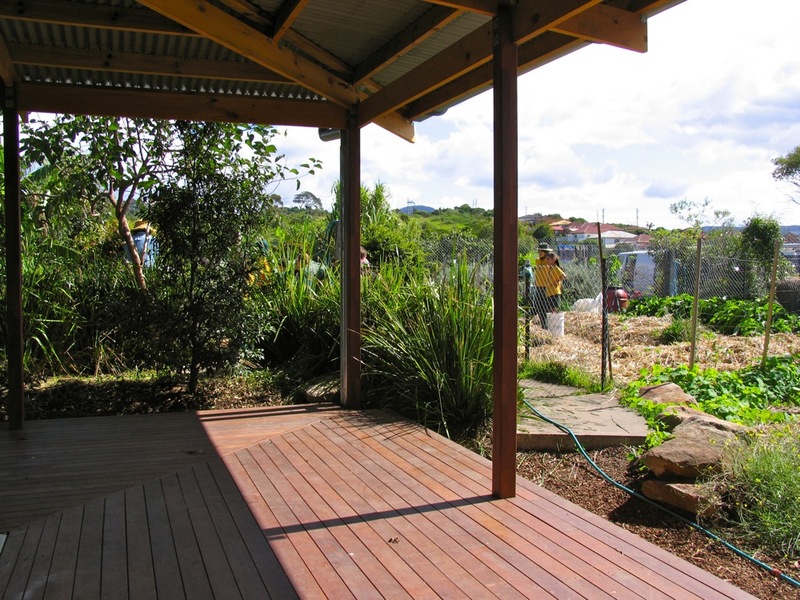 Soon they will be cooking in a kitchen next door to the garden, however, in a new pavilion-style building with wide verandahs, a pleasure to be in next to such an amazing edible landscape – and a worthy edition to such an amazing living classroom as this garden is. I leave this day reeling with the implications of what is possible in a truly great school garden. 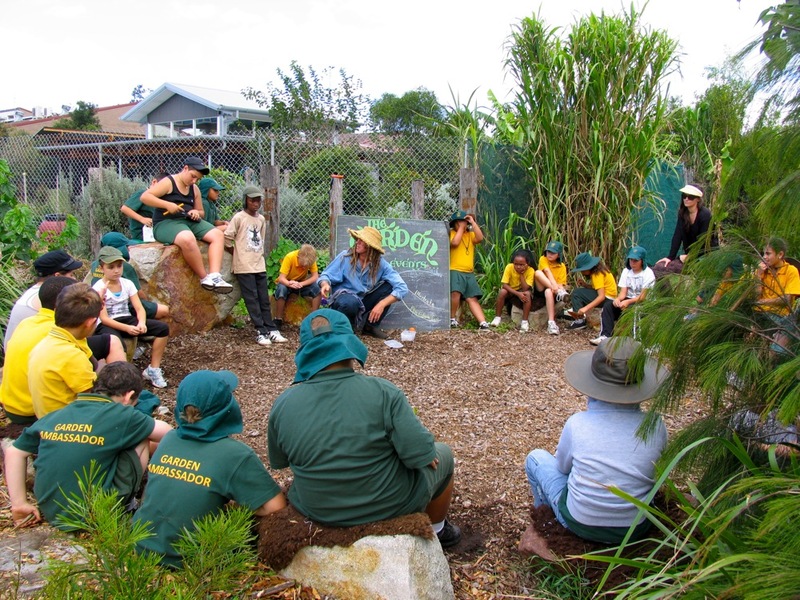 Even in the most under-resourced of schools, on the most adverse of soils, with the most language barriers, there are profound implications for how living classrooms can grow thanks to passion and ingenuity. Many thanks to Aaron, Lou and all the Crinny garden ambassadors for letting me hang out for the day. 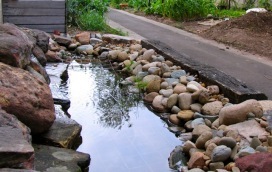 Aquaponics just might be the ultimate closed-loop food production . . Deep in the heart of Marrickville, in a little street of workers . .
[caption id="attachment_1073" align="aligncenter" width="500" cap . .
GREAT STORY you guys. I was in the garden a couple of days ago and had the same ‘reeling’ experience. 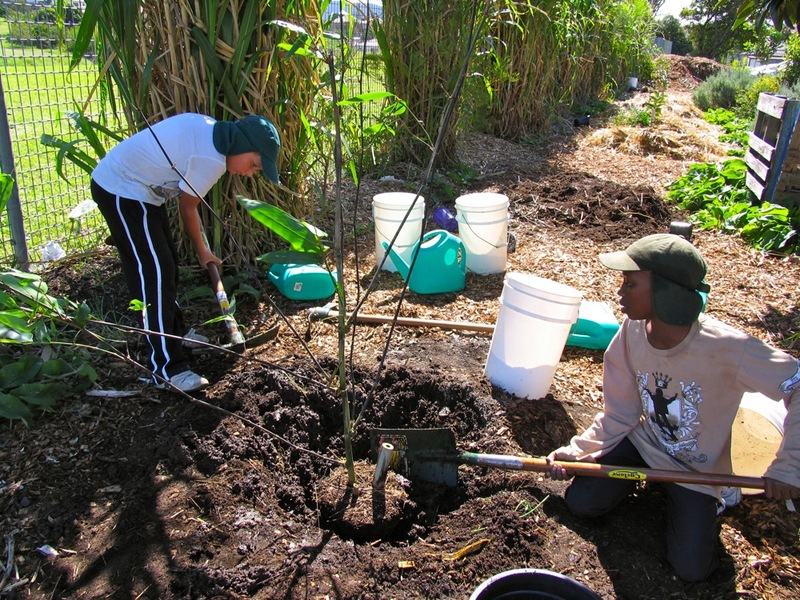 VERY great work being done and i think permaculture school gardens are now sprouting up all over the area! !